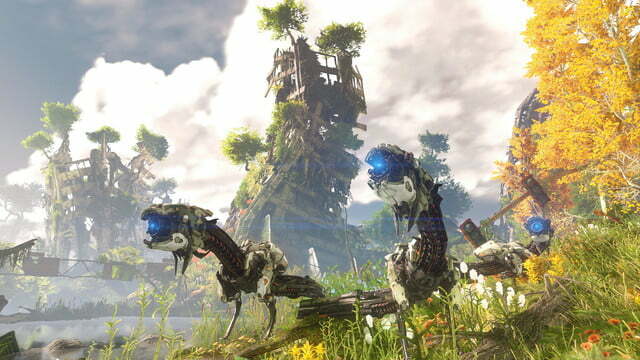 Sony’s E3 2016 press conference was a nonstop stampede of game announcements and gameplay footage. 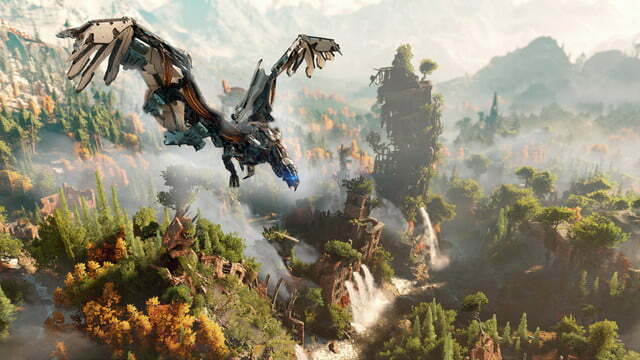 One of the most impressive offerings at the showcase was an eight-minute-long gameplay demo of Horizon Zero Dawn, Guerrilla Game’s open-world, monster-hunting action game. 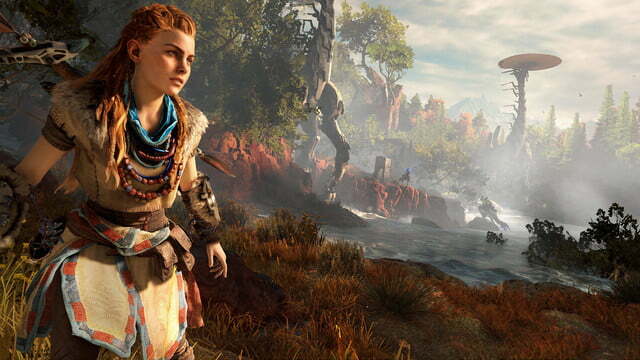 The demo opens with main character Aloy exploring the wilderness near a village before coming up on some wandering mechanical beasts. 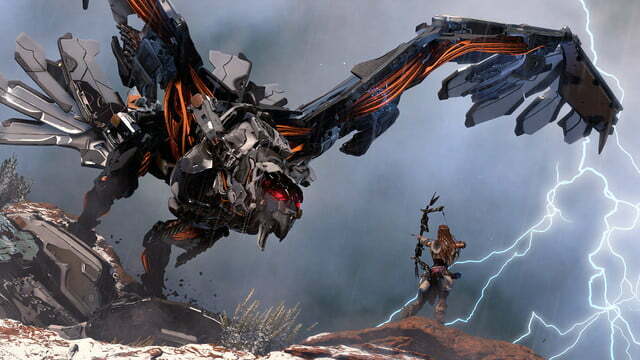 Using stealth and a multitude of tools and weapons — such as an electrically charged slingshot and explosive traps — Aloy enters into combat with the creature, harvesting parts from its metal carapace. 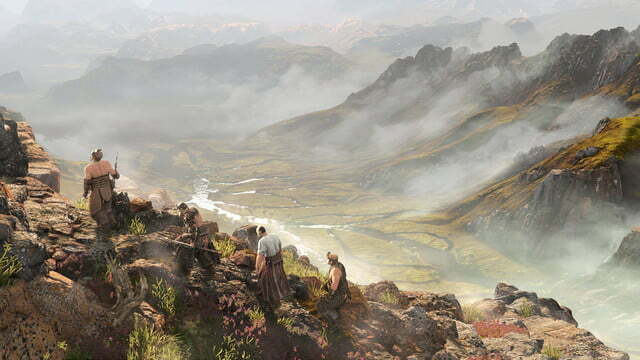 The player runs into a distressed villager, agreeing to take on a menacing beast that has terrorized his settlement. 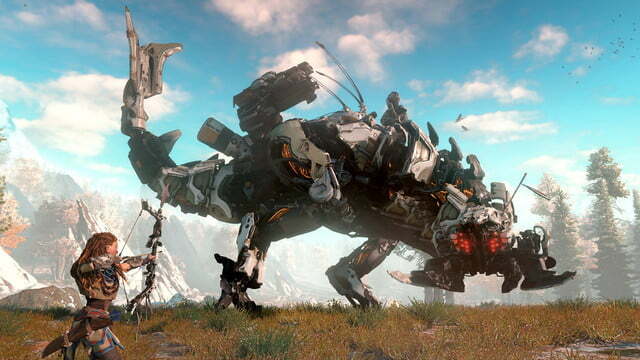 From there, we get a look at the massive size of the game world through the in-game map the player used to pinpoint the next objective: taming a literal mechanical bull to use as a mount and aid in combat against a boss creature. 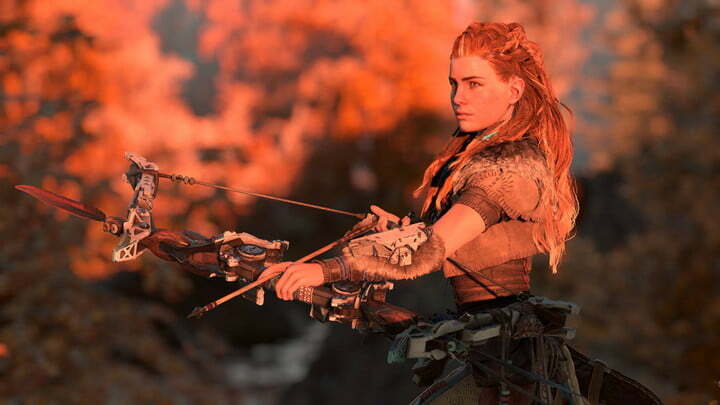 The footage gave a detailed look at the various types of gameplay players can expect, showing cinematic branching dialogue and cutscenes interspersed between long sections of intense monster-hunting combat and RPG-like character customization. 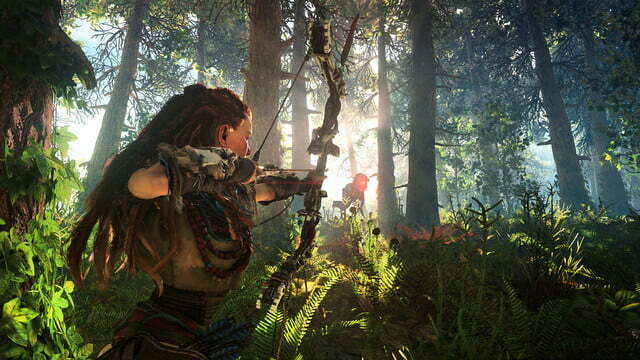 The large world and flexible weaponry gives the sense that Horizon Zero Dawn will be a very open-ended combat experience, with a bevy of tools and strategies for players to use, and a branching story that allows for developing Aloy’s personality your own way. 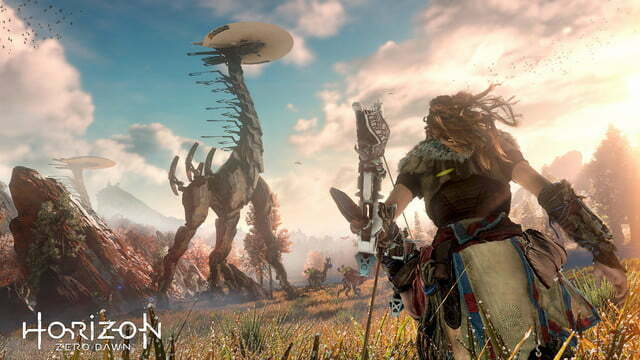 Horizon Zero Dawn is slated to launch in February 2017 on PlayStation 4.